Cash transactions! Do you know cash is bad for economy? We can literally pen down dozens of irrefutable reasons for the same but we will skip that for now because, this article is about something else. Next time you walk up to a bank to deposit money or to withdraw money from a cash counter at your bank branch, think again! At least, start counting the number of transaction you already made. That’s because, 5th cash transaction and upwards will now attract fees. Many of you – “proletariats” – will not like this and will tag the banks as government-supported money-goons but it is time you broaden your myopic views and look forward to a brighter and cleaner economy – free of corruption, full of honesty. Well, many of you may have different views regarding this and we are seriously open for a gentlemanly or gentlewomanly debate. However, for now, let us talk about this cash transaction fees. Effective March 2, 2017, HDFC bank – the Indian private sector bank, will levy a fee of INR 150 for every transaction to make in cash beyond the free limit of 4 cash transaction a month. Just in case you are thinking that INR 150 is a doable expense, don’t forget that HDFC officials have clarified that the amount that they will charge is open-ended on the upper side. This means that INR 150 is the minimum fee you will have to pay for any cash transaction – starting the 5th transaction. When we say cash transaction, it simply means that whether you deposit cash or whether you withdraw cash, this is the amount that you will be paying. The cash transaction fee can escalate depending upon the amount of transaction. As per HDFC officials, both salary and saving accounts have been pulled under this new rule-sheet and that the charges will be effective starting today – that is, March 2, 2017. While these charges are applicable for in-house customers of HDFC, the bank has also put a ceiling on the amount of cash transaction under the head ‘third party’. Third party transactions at HDFC will now be capped at INR 25,000 in 24 hours. HDFC isn’t alone when it comes to levying cash handling charges? Cash handling charges from HDFC are nothing new. In case you didn’t know, other private players in Indian banking industry, such as Axis and ICICI too have these charges. In fact, they implemented the charges back in January this year. Interestingly however, the charges for cash handling at Axis and ICICI were already there prior to demonetization of 2016 and they retained the same charges. There wasn’t any increase in the charges applied by these two banks. Only HDFC has ramped up the charges. Good news however is that, cash handling charges are applicable only and only if you transact directly at your bank branch (simply put, cash transactions at bank branch counters). In case you are handling cash via Automated Teller Machines or ATMs, these charges do not apply. Why these cash handling charges? So, the government is always free to charge you money for using its property! So, rants that we need to pay for our own money is absolutely wrong! You are being charged for using the currency notes which only represent your money. Discourage usage of currency notes so that government can cut down on its expenses of printing and distributing those notes. 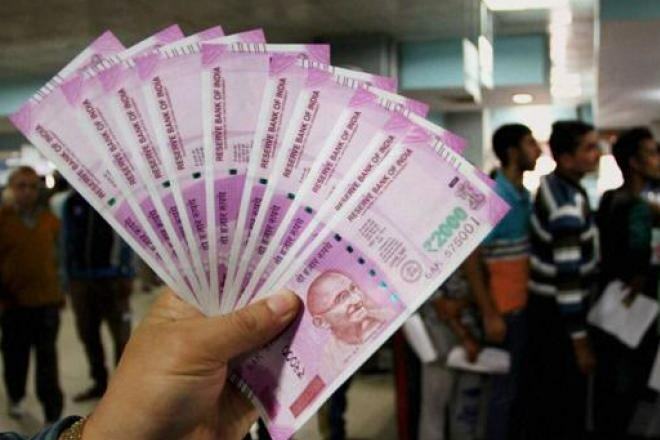 Discourage usage of currency notes so that counterfeit currency notes and black money can be effectively dealt with, thereby eliminating the parallel economy. What are the cash handling charges from various banks? Different banks have different cash handling charges. Those charges are not monitored by government (for now). Remember that banks are profit-making organizations. Since they are for-profit companies, they will have their own set of rules and regulations. These rules and regulations are pretty flexible as long as they don’t breach the guidelines of the big brother – the Reserve Bank of India. Will you love to be in Sweden or Switzerland or Japan? Think again! As a matter of fact, banking cartel in India is still very lenient when it comes to paying interest to customers. In light of the above data, it is wise to say that even if banks are today charging cash handling charges, we should happily oblige because they also pay very high interest against our savings! So, just how much do Indian banks charge for cash handling? PLEASE NOTE: interchange charges at ATM outlets have been put back in place. What about public sector banks? It is not yet clear whether public sector banks in India have imposed similar charges or not. However, they did mention that they did not receive any directive from the Union Government to levy cash handling charges. So, it can be safely assumed for now that the public sector banks are still not charging money for cash transactions.